Ali Shabaz: Creativity is the answer. What was the question? 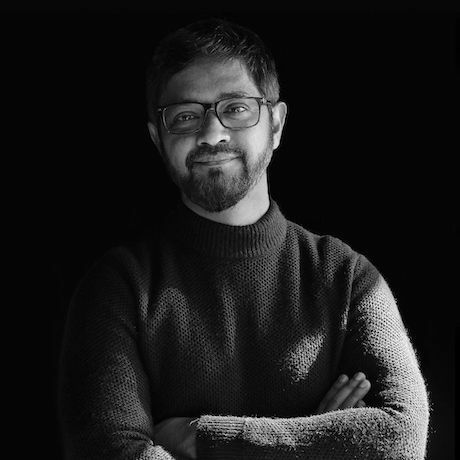 Ali Shabaz has worked in the advertising industry for over twenty years across South East Asia and the Middle East. As Chief Creative Officer he has led marketing campaigns for some of the biggest brands in the world including Lego, Visa, P&G, Unilever, Shell, Qatar Airways, British Council Shell, Pizza Hut and HSBC. He was recently recognised as being one of the top five Chief Creative Officers in the Middle East. Ali’s passion is helping people, young and new to the creative industries or seasoned pros, to discover new pathways to unleash their creative potential. After living in Singapore for 17 years, Ali has moved to Dubai where he is currently the is CCO of Rapp Middle East and Africa. NEST is a full-service shared work space and coworking community providing local members and travellers alike with an inspiring environment, engaging programs and curated networking opportunities. Whether it be hatching an idea, hosting a meeting or simply seeking productivity, NEST provides our guests with room to soar. The NEST is in the TRYP Hotel and Wyndham property. Established in Dubai in 2005, Nexa is an award winning independent digital marketing specialist which has worked with over 700 clients across a wide range industry sectors, providing high quality, effective and measurable digital marketing campaigns. Nexa has built a strong track record and in-house capabilities to support clients through a comprehensive portfolio of services including website design, Search Engine Optimization, Social Media Management, Content Marketing and a fully integrated and creative digital marketing strategy. Nexa are the first, and only, Hubspot Gold Agency Partner in the UAE and GCC. Nexa’s in-house team of over 50 specialists have both the experience and expertise to manage a client’s total digital marketing needs. From website design and build services, to ensuring clients’ websites rank at the top of Google using Nexa’s Search Engine Optimization (SEO) techniques, and creating unparalleled visibility using Social Media platforms such as Facebook, Twitter, Instagram, LinkedIn, Snapchat and Pinterest, Nexa can help any business flourish online. The company provides complete, full-scale digital services from opportunity identification through to delivery, implementation and support of the final technology. This is packaged and delivered by Nexa’s experts in-house with zero outsourcing, providing 24/7 support for all the company’s clients. Nexa clients include some of the best known companies in the travel, hospitality and other industry sectors. On your office desk is a parcel. But it is NOT your birthday. Your name is hand-styled the envelope. Even before peaking inside, your senses are piqued. Opening it, you find curiosities, teasers, tools, & inspiration. Your ideas swirl, play & flow. Joyous desk disruption! IMAGINESS by Sajory is designed to make your neuro-synapses go wild! A monthly curated subscription package that helps spark your creative thinking at any job, in any industry. You will see how your original ideas become more valued at work using the tools we cultivate, and how your desk morphs into a magnet for creative inspiration through the sensory items we send your way. Inspired by Creative Mornings global movement, the monthly theme is translated into curated items that support you to get unstuck and on your way to flourishing. Consider it your monthly Professional Development Session in wrapping paper. We are kicking off at 8:15 with Martin and the icebreaker and then we are on to the main event. Free parking, free coffee, free snacks and a great chat are waiting for you.